Our dedicated, fully focused and enthusiastic North Shields team have over 25 years’ experience. Our focus is to establish what is important to you and work together to achieve the desired result. Our aim is to provide a personal, friendly and excellent service making sure that every opportunity is taken to succeed. 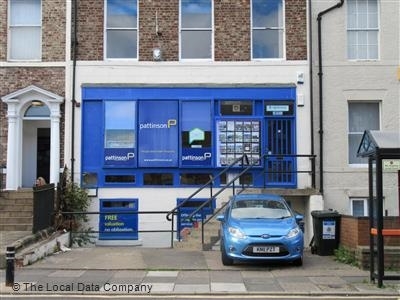 Our helpful staff have a wealth of knowledge and experience covering a wide range of areas around North Tyneside and can also assist you with all other requirements including Financial Advice and Conveyancing. Pattinsons are also the proud winners of THE LETTINGS AGENCY OF THE YEAR AWARDS 2016 from The Sunday Times. ⭐⭐⭐⭐⭐ this is the third property move we have made using pattinsons, we have always found them to be very helpful to make the move as easy as possible first class staff . ⭐⭐⭐⭐⭐ Thank you so much to Pattinson Estate Agents, North Shields. They have all been amazing, friendly and professional. I would definitely recommend them and will be using them again when I come to move back to North Shields. ⭐⭐⭐⭐⭐ Having used pattinsons a few times i find them very helpful, well informed and always polite. I could highly recommend them. ⭐⭐⭐⭐⭐ Great estate agent with knowledgeable staff that always go the extra mile to help you out. Ruth has been helping us for over three years and continues to be a great source of support with buying and renting within the local area. ⭐⭐⭐⭐⭐ Cannot thank the team at Pattinson’s North Shields enough for all of their help when selling our home. They got us our full asking price and were extremely helpful and kept us well informed during the sale. I would highly recommend selling through Pattinson’s. Their team are very friendly, professional and knowledgable and I would like to personally thank John for conducting our viewings. ⭐⭐⭐⭐⭐ I am in the process of selling my property with the North Shields Branch of Pattinsons and they always provide a great customer service, keep me fully updated with viewing feedback, and are happy to answer any queries I have. Highly recommended. ⭐⭐⭐⭐⭐ I have used Keith Pattinson for a number of years to help manage my Buy to Let Portfolio. They are an excellent agent to work with and they have a superb team to manage client needs. Ruth, who I known for years, stands out for her speed of response and friendly approach to doing business. ⭐⭐⭐⭐⭐ I'm currently selling my property with Pattinsons. John and Ruth have been very easy to deal with, and they have kept me informed with regards to viewings and feedback. I'd definitely recommend using Pattinsons. ⭐⭐⭐⭐⭐ Would like to thank Keith Pattinsons North Shields for there help in selling our home,also like to thank John for conducting our viewings,he is very professional at his job and would highly recommend. ⭐⭐⭐⭐⭐ I have been using Pattinsons Estate Agents in North Shields for a number of years now and have always found them to be very efficient and a pleasure to work with, especially Ruth. ⭐⭐⭐⭐⭐ Ruth was always very responsive and helpful through a very extended sale. I was the purchaser. ⭐⭐⭐⭐⭐ The staff at the North Shields branch of Pattinson's were spot on from sorting out the initial valuation and getting the house on the market and then organising the viewings. Once the house had sold they were great in following things up and assisting in any queries we had. The only negative, which isn't really their fault, was the solicitor they suggested - while I can't advise who to go with I'd recommend go with someone local enough that you can visit and speak to them face to face without going through hoops. I never intend moving again but if I did I would be very likely to go with Pattinson Estate Agents they were brilliant. ⭐⭐⭐⭐⭐ My experience of Pattinson's North Shields was of an excellent, efficient and professional service in finding a new tenant for my property.